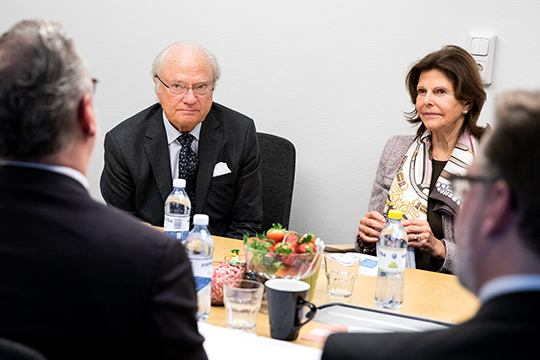 Today (20 March) King Carl XVI Gustaf and Queen Silvia visited the Crime Prevention Counsel (Brå) in Stockholm to receive a report on how the counsel is working to contribute to knowledge development within the judicial system. The Counsel representatives presented on three reports that the counsel has produced. The first report titled, Relationship with the judiciary in socially vulnerable areas, looked at how residents of socially vulnerable areas viewed security and confidence of the judicial program using surveys and interviews. The second report shared with the couple, Shooting in Criminal Environments, looked at the increase of lethal firearm crimes in the past few years with interviews with people who were active in the criminal environment. The third report was the National Security Survey. This annual survey was taken by 74,000 people and centers on vulnerability to crime, insecurity and concerns about crime, confidence in the judicial system and experiences of contacts with the judicial system. 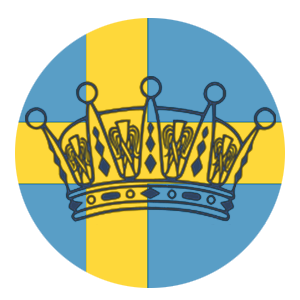 This 242 page report highlights questions such as “Which groups are most vulnerable to different types of crime?” and “Does the Swedish people's confidence in the police increase or decrease?”. The visit concluded by meeting employees at Brås Center Against Violent Extremism . The center works to prevent ideologically motivated crime and terrorism. For this morning of meetings, the king livened the mood with my favorite tie- his Jim Thompson elephant tie. The King Has at least 3 ties with elephants on them but this one is my personal favorite. The Queen could be seen wearing her Sophie by Sophie Childhood Bracelet.